Tacoma SR5 V6, 4D Double Cab, V6, 6-Speed Automatic, RWD, Black, Cement Gray w/Fabric Seat Trim (FB). Priced below KBB Fair Purchase Price! Awards: * 2016 KBB.com Best Buy Awards Finalist * 2016 KBB.com Best Resale Value Awards Welcome to Wholesale Auto Group Inc. We are a licensed and bonded used car dealership based in the State of Louisiana, and are located at 1337 Veterans Kenner, LA 70068. We are a family owned and operated establishment, and have been in the auto business since 1984 buying used cars and selling used cars. We are committed to bringing you the highest quality vehicles at a fair price, matched with superb customer satisfaction. Please feel free to contact us via email or by phone at (504) 777-3350. If you would be interested to view a vehicle in our inventory, please contact us and we will do our best to accommodate you. We appreciate the opportunity to assist you with your automotive needs and look forward to serving you in the future. 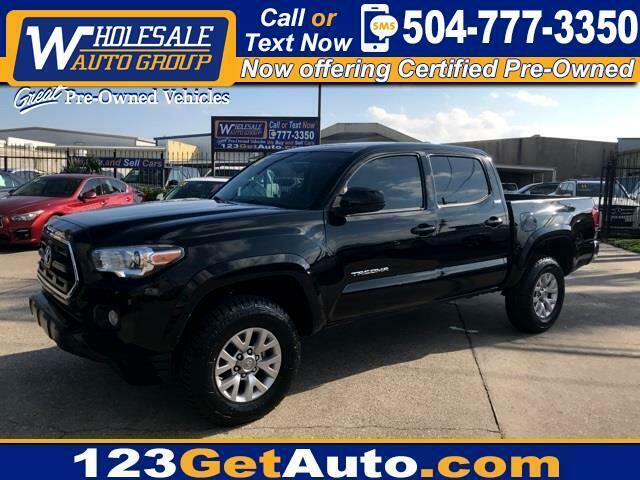 Message: Thought you might be interested in this 2016 Toyota Tacoma.